Do you dread knocking doors? If you’re like most restoration salesmen, canvasing is by far the least favorite part of the position (besides the taxes). When we first started working in the storm restoration industry, our least favorite necessary evil was knocking on doors to set up inspections. Minutes felt like hours, it always seemed to be 100 degrees outside, and it was generally just an unpleasant experience we did not look forward to. Since canvasing is such an effective method of setting up appointments however, we worked on finding more efficient ways to approach door-knocking so that we could work smarter, not harder. In essence, we learned how to knock fewer doors and actually get more appointments by narrowing down the best times to knock, the best houses to knock, and the best approaches to use. Here we will teach you about the highly effective “6-pack” method of door knocking that we have found to yield a 70% or better success ratio compared to the traditional 10-15% so that you can get better results faster with less effort. When to knock. The absolute best and easiest times to set up inspections are immediately after an inspection, an adjuster meeting, or during the construction of a roof. Neighbors can see you on the roof or around the project and already have some curiosity as to who you are and what you’re doing. They are interested in finding out what’s going on and are more inclined to speak to you when you approach them. This is less of a “cold call” because you are already a little bit familiar on the street. 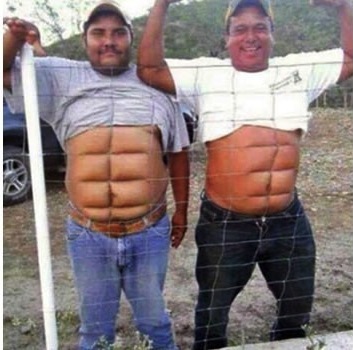 Who you knock is the 6-pack. The 6-pack refers to the six houses immediately surrounding the house you have just finished inspecting, meeting with an adjuster, or are currently building. The two houses to the left, to the right, and the two directly across from the house you were just at. This gives you a really easy and relevant “in” when speaking to the immediate neighbors. We hope you found this tip useful – be sure to implement it after your next appointment or during your next build!